Why Do Car Dealers Make Buyers with Bad Credit Feel So Bad? Having a car of their own is one of the prime necessities for people in USA. They need a car for commuting to work, for running errands, visiting places of attractions and for many other things. The car would give them the freedom to travel to any place at any time without waiting for public transport. As buying a new car requires a huge sum of money, it is not possible for the buyers to make the whole payment for it in one go. So they require a loan for it. The car dealer from whom they purchase their car, can arrange a lender for them who can provide a loan to them. The lender makes the payment for the car that is bought by buyers and they need to pay back the money to him at a fixed interest rate over a period of time. Before arranging a lender for granting a car loan to a buyer, a car dealer considers his/her credit history and credit score. If he/she has a good credit history, he/she is likely to get a loan from a lender at a low interest rate. But if he/she has a bad credit history, he/she will face difficulty in getting a loan from him. There are about 30% of American people who have a bad credit history. So car dealers simply cannot stop selling cars to this huge segment of American population as this is going to impact their sales and profits. But it is also true that such car buyers with a bad credit history do face problem in getting an affordable loan at the time of buying a new car from a car dealer. Due to their bad credit history, car dealers and lenders consider these customers a high risk. They are not sure if they would be able to pay back the loan given to them. Considering this, they may not grant them a loan at all or offer them a loan that comes with a high interest rate. In the latter case, the customers will end up paying too much money than the actual cost of the car before they eventually get to own it. Misunderstood Credit can help these people find the right loan for their car buying needs. It takes a different approach for finding the loan for them. Instead of considering buyers’ credit score which looks into how they will pay in future based on how they paid in the past, the company gets to know them, looks at their current situation particularly their ability to make payments and the stability in their job and home. Let us first talk about why car dealers make people with a bad credit feel so bad. Firstly, like any other business owners, car dealers also want to ensure safe payment of their money which a buyer owes to them for buying a new car from them. After all, it is their business and they have the freedom to do whatever they feel is right for protecting their financial interests. So they can exhibit actions and behavior which may make the buyers having a bad credit history feel bad or inconvenienced. Secondly, car dealers don’t always mean to make buyers with a bad credit feel bad, but they have a hard time relating or understanding what misunderstood credit means. The car buyers with a misunderstood credit may have failed to make payments of their loans on time in the past or they were unable to pay them at all due to some reasons which were beyond their control. These reasons can be attributed to natural disasters, divorce, cosigning for a relative besides others. This misunderstood credit can reflect in terms of a low credit score in their credit report. As car dealers are unable to understand or relate to this misunderstood credit of theirs, they are reluctant to give a loan to such car buyers. To simplify things for themselves, car dealers put people into two buckets – good credit or bad credit. People with a good history are able to easily get a loan at low interest from the lenders which are arranged by the dealers, while people with a bad credit history may not get a loan at all from the lenders or get a loan with a higher interest rate from them. But Misunderstood Credit takes a different approach for finding the right loan for such car buyers who have a bad credit. Rather than considering their low credit score or bad credit history, the company gets to know them, looks at their current situation particularly their ability to pay the loan and the stability in their job and home. The third reason for why car dealers can make customers with a bad credit feel bad is that they have to do a lot more paperwork with the banks for arranging a loan for their customers. Potentially 5-10 banks will run a customer’s credit. So this slows down the dealers and makes the process harder for them. 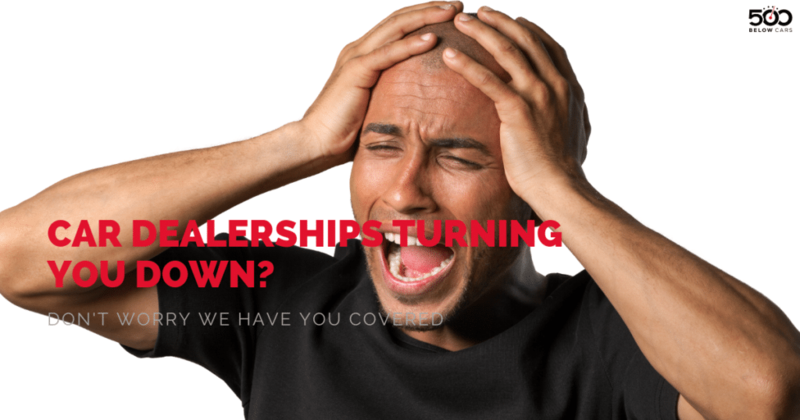 As most car dealers don’t like more work, they are not happy to deal with the customers having a bad credit or they may want to avoid them altogether. This may reflect in the actions and behaviors of dealers which the customers may perceive as bad. One thing that the people with bad credit can do to rebuild their credit is to get on track with their current bills. This will not only help to improve their credit score, but will also show the financial department of the car dealerships that they are putting in an effort for rebuilding their credit and paying their debt on time. Bad credit is not a death sentence and time can be your friend in this regard. The more you pay your bills in a timely manner, the more your credit score will go up. If you can wait for some more time on the new car, you are better off to do so. Implementing this advice from Misunderstood Credit will put you in a better position to get a loan from a lender arranged by a car dealer from whom you are buying a new car. If you are facing a difficulty in getting a suitable loan from a lender who is in a tie-up with a car dealer due to your bad credit, Misunderstood Credit can help you to find the right loan for your car buying needs. Rather than focusing on your credit score which considers how well you will pay in the future based on how you have paid in the past, the company will get to know you and look at your current situation specifically your ability to make payments and the stability in your job and home. As Misunderstood Credit will be there to help you get an ideal loan for buying the car of your dreams, you need not postpone your car buying decision for some more time. You can feel relaxed thinking that the day will not be far when you will be able to sit behind the wheels of your new car and enjoy your ride to work or any other favorite place of your choice.